With sixteen years experience at Ever-Green, Kirk Persinger is the consummate professional in the field of turf and landscape management. Home-grown as an Ever-Green associate, Kirk has accumulated a broad and impressive base in turf, mowing, commercial, and residential grounds maintenance. 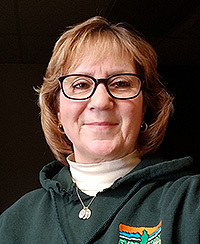 Without question Patty is the longest tenured member of the Ever-Green staff, starting with the company’s formation in 1976. She has been honored as “Outstanding Alumnist”, by the Upper Valley Joint Vocational School. For any questions you have about billing or procedure, the answer is as close as a call to Patty. Few professionals in the field are more known and locally respected than Randy for his experience in both residential and commercial properties. 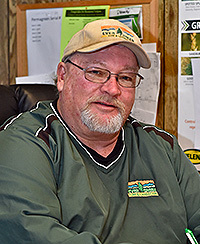 Like so many of the Ever-Green management staff, Randy’s experience includes an impressive knowledge of turf varieties, nutritional supplements, and the newest products in the field of herbicides and pest management. Tim Anderson was literally raised in a greenhouse, a member of the Andy’s Garden family business, in Piqua. 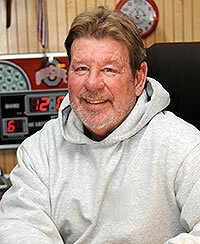 And, after graduating from Ohio State University in 1974 he later founded Anderson’s Tree Tech, in Piqua, in 1985. 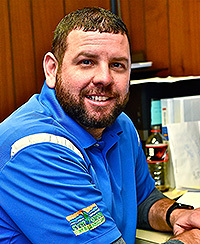 For the next 28 years he specialized in expert tree care and trimming in the Miami County community until merging his business with Ever-Green in 2014, where he currently serves as Tree Care Manager. 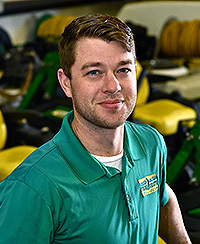 Ben Evans is in his tenth year with Ever-Green, having risen from the lawn care department, to landscape, and in the summer of 2018 he assumed the duties of overall manager of the department. Highly knowledgeable in a facets of property management, his personality and patience for the process of design to implementation is second to none. 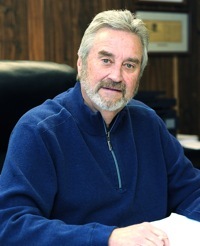 A veteran of more than four decades in the turf and landscape industry, Joe Duncan is the past president of the Ohio Turfgrass Foundation and a past member of the Ohio Lawn Care Association Board of Directors. For the past eight years…a member of the Miami County Foundation Board of Directors. An alumnus of Wright State University, in Fairborn, Joe played college baseball for the Raiders and has an active sports background in officiating. He worked college football in both the MAC and Big Ten Conferences, and retired from officiating in 2014.